Kota Bharu is the state capital of Kelantan and its name means 'new city' or 'new castle/fort' in Malay. Kota Bharu is home to some unique architectural royal palaces, various museums and former royal buildings. A great way to learn about the locals culture is to visit their local markets. Siti Khadijah Market which is named after Prophet Muhammad's wife whom is known for her entrepreneurial skills is the economic centre of the community in Kota Bahru and is run mostly by women. Apart from fresh produces, you can find ready-to-eat food like Nasi Ayam Percik which is grilled chicken with coconut milk sauce and many other local delights. The World War II Memorial Museum is one of the most interesting places to visit in Kelantan. This museum was previously the Japanese Occupation of Malaya from 1941-45. Here you can see findings from the time the Japanese landed in Pantai Sabak beach at Kuala Pak Amat on 8 December 1941 right up to the liberation of South-east Asia. Istana Jahar which means Jahar Palace was built by Sultan Muhamad 11 in 1887 for his grandson Long Kundur. The luxurious woodcarvings of the Palace showcases the excellent craftsmanship of the Kelantanese. There is also a Malay Weapon Gallery inside the palace which stores many unique weapons such as keris and pisau. 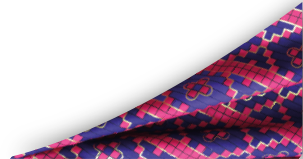 Batik Printing is indigenous to Kelantan and the first cotton sarong was printed using a stamp block. A visit to the batik factory will give you an insight into the entire process of batik printing.